San Francisco Health Plan 270, 271 EDI transactions are used in tandem: the 270 transaction is used to inquire about the eligibility benefit status of a subscriber, and the 271 transaction is returned in response to that inquiry. San Francisco Health Plan returns detailed eligibility, co-payment, deductible, co-insurance, and type of insurance information on the 271 response. 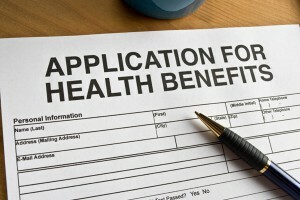 San Francisco Health Plan provides the ability for a practitioner or facility to submit a file for eligibility information and benefits for its members (HIPAA Eligibility Benefits Inquiry and Response 270-271) through their designated clearinghouse or directly to their office as instructed. To establish a connection for the 270/271, please contact your clearinghouse in regard to setting up the ability to submit and receive San Francisco Health Plan 270, 271 EDI transactions (electronic eligibility and benefits inquiries) with San Francisco Health Plan. San Francisco Health Plan is a Phase III CORE Certified Health Plan and is accepting X12N 270/271 Health Care Eligibility Request and Response, as mandated by the Health Insurance Portability and Accountability Act of 1996 (HIPAA). Under the Administrative Simplification provisions of the Health Insurance Portability and Accountability Act (HIPAA) of 1996, the Secretary of the Department of Health and Human Services (HHS) is directed to adopt standards to support the electronic exchange of administrative and financial health care transactions. The purpose of the Administrative Simplification portion of HIPAA is enable health information to be exchanged electronically and to adopt standards for those transactions.